Ace was handled to perfection by Aaron Rosas to his Championship with the exception of his first major put on by Gary Steele! What a fast and exciting ride it was! Thank you team Ace!! 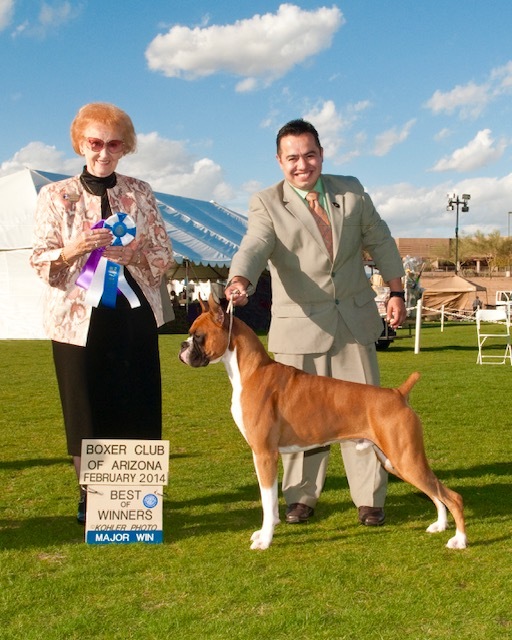 He finished at 18 months with very limited showing and 4 major wins including back to back majors at the Boxer Club Of Arizona under well respected breeder judges Mr. and Mrs. Larry Sinclair! 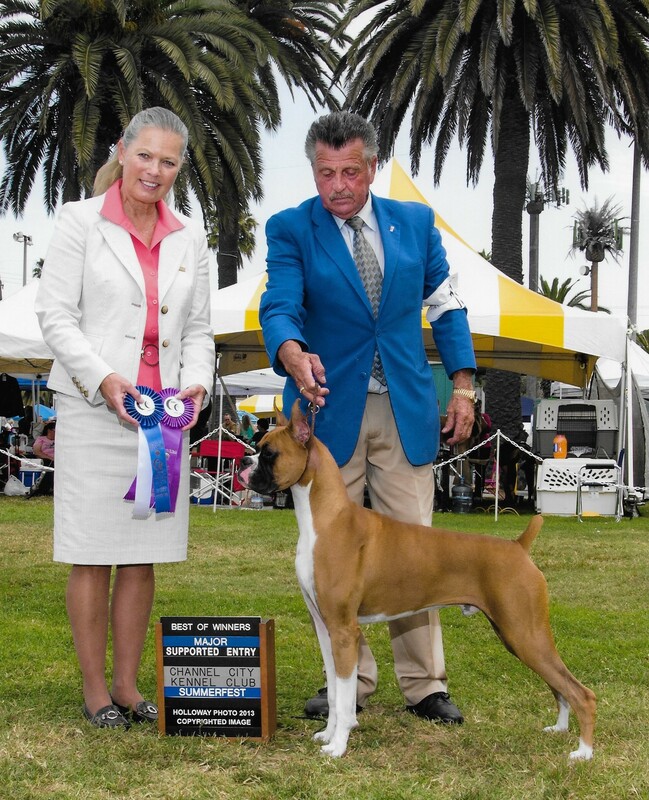 He has great show presence and moves around the ring with confidence and true showmanship! He has a gorgeous head and bite with handsome expression and dark eyes. He is a nicely balanced from front to rear. He has a gorgeous tight red fawn coat that just shines so bright. He is a pleasure to watch in and out of the ring! 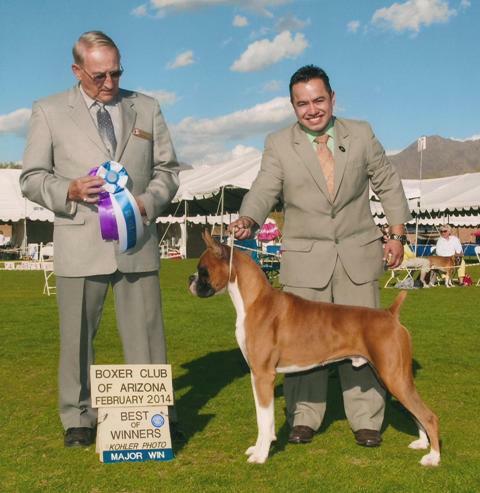 Thank you Sunland Boxers for breeding this very handsome boy and allowing me to have him in my life! He is much loved by my good friends and owners Todd and Anna Davis who I can't thank enough for their time, effort, and investment to get him out there! 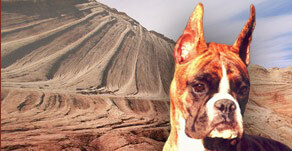 He has been SAS cleared with a 1.7 flow rate by Dr. Whit Church, DVM, ACVIM, Board Certified Cardiologist in Gilbert, Arizona, is ARVC positive het, DM at risk, and additionally passed his 24 hour holter monitor and thyroid is normal.